UK defence giant BAE Systems faces corruption charges after the Serious Fraud Office said it would ask the Attorney General to prosecute the firm. The SFO has been in negotiations with BAE but the sides could not agree what the firm would admit or the fine due. 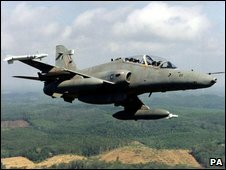 The case refers to allegations BAE paid bribes to win contracts from several nations in Africa and Eastern Europe. BAE said it was still trying to resolve the case, but would deal with matters in court "if necessary". "BAE Systems has at all times acted responsibly in its dealings with the SFO, taking into account the interests of its shareholders and employees and the legal advice it has received," the firm said. However it admitted last year - after an independent investigation - it had not always met the highest ethical standards. A separate investigation into BAE by the SFO was dropped in 2006 after it was decided that national security was at risk. In that case, the SFO ended its investigation into a giant 1980s arms deal BAE secured from Saudi Arabia. How are arms deals done? The latest SFO investigations are into contracts BAE won from countries including Tanzania, the Czech Republic, Romania and South Africa. 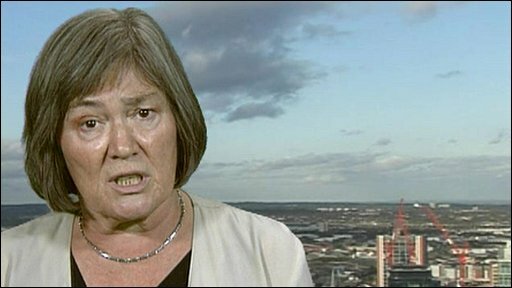 Clare Short, secretary for international development in 2001 at the time of the deal with Tanzania, said the arms industry was "notorious for grubby behaviour". She had opposed the Tanzania deal but was unable to stop it. She said the SFO would be "determined to do their job properly". "Britain's part of an international convention that says it's a crime to bribe a public official abroad, as it would be at home, and we're one of the worst in the whole of the OECD at actually taking action to stop our companies doing this," she said. The BBC understands that the SFO wanted to strike a deal that would involve BAE pleading guilty to charges of corruption and agreeing to pay a substantial sum in compensation - between £500m and £1bn - however no deal was done. BBC business editor Robert Peston said the continuing probe was "the most explosive investigation into a British company that I have ever encountered". He added that, while BAE would like to settle the case through a plea bargain, its management had a legal duty not to hand over cash or damage the reputation of the firm unless they were advised by their own lawyers that the SFO had an overwhelming case. Criminal charges would be brought under the 2001 Prevention of Corruption Act, but conviction would be decided by a judge without needing a crown court trial in front of a jury. A final decision on whether to proceed with criminal proceedings will have to be made by the Attorney General Baroness Scotland. Her office will assess whether there is sufficient evidence for a prosecution and whether it is in the public interest to do so. It will reach its decision "independently of government", a spokesperson said. It is expected to take several weeks to prepare the papers for the Attorney General - and the sides could still reach an agreement in that time. The firm is the UK's largest manufacturer - making everything from British Army kit to warships and planes. It has about 105,000 employees worldwide, including about 32,000 in the UK with customers in more than 100 countries. Clare Short: "We need a political inquiry"
A year-long independent review of practices at BAE urged bosses to adopt stronger anti-bribery measures and a global ethical code of conduct. The proposals were among 23 recommendations made by a committee headed by the former Lord Chief Justice, Lord Woolf. "BAE either becomes an ethical company, which involves refusing to get involved in some contracts, or it does not become a fully ethical company reaching the gold standard that we have identified," Lord Woolf said when the report was published in May last year. "There are contracts that are not worth having and that will do long-term damage to the company, and the company has to accept that."